When searching for Sarasota waterfront real estate, Harbor Acres is a gorgeous neighborhood right off Osprey Drive. One of the premier neighborhoods West of the Trial, Harbor Acres owners have beautiful manicured tropical landscaping draped with bougainvillea vines, jasmine, hibiscus and majestic palms. 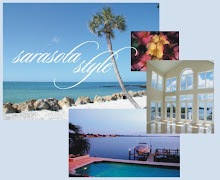 Homes on the water have access to Sarasota Bay and boaters can be in the Gulf waters quickly. Since many of the homes in Harbor Acres were built from the 1940s through the 1960s, buyers wanting a redo or a home that needs a little help are available. There have been homes torn down and new houses built too so if you want everything completed, ask your Sarasota real estate agent to direct you to a refurbished luxurious remodel or a newer home. 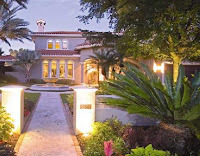 Currently the Sarasota MLS reports 12 homes for sale in Harbor Acres priced from $724,900 to $10,000,000. In the last six months, 2 homes have sold at prices of $1,035,000 and $725,000. RE/MAX Alliance Group has a listing on Harbor Drive priced at $4,800,000. This extraordinary Sarasota waterfront home was built in 2001 and is positioned on a deep sailboat water basin. This 6,400 sq.ft. home offers a courtyard, hardwood floors, limestone gas fireplace, coffered ceilings, custom made/designed furniture grade cabinetry, chef's gourmet kitchen, five bedrooms, swimming pool and a poker room. For a list of Harbor Acres properties, contact Annette Smith. We specialize in selling Longboat Key real estate, Sarasota, Bird Key, Siesta Key, Casey Key, and all Sarasota Real Estate. Let us help you locate and buy the home of your dreams.